Linking Aadhaar Card with your bank account is very easy, you can do this work online, via SMS, at ATM or by visiting the bank directly. Today we are going to tell you how to link your Aadhaar card online with Kotak Mahindra Bank account. In Kotak Mahindra Bank you can link Aadhaar card with your bank account in 3 ways. If you have kotak net banking facility then this task is very easy for you. 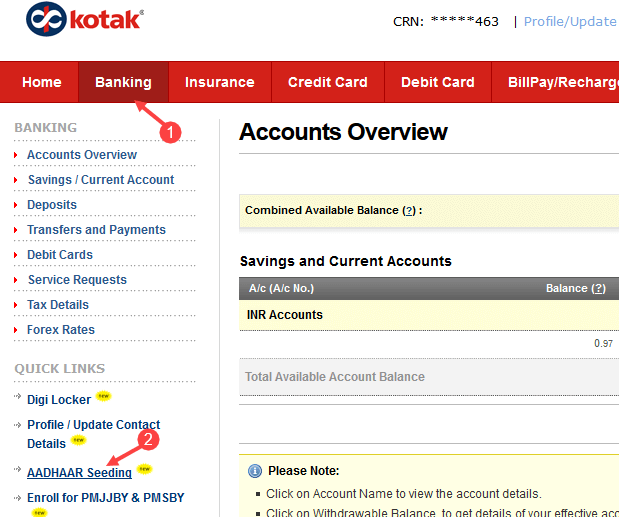 Login to Kotak net banking account first. After logging in, you have to click on the Banking tab. In Banking, you can see the option of Aadhaar Seeding on the left, just click on it. Now in the next screen you have to select your account and type your 12-digit Aadhaar Number and submit it. 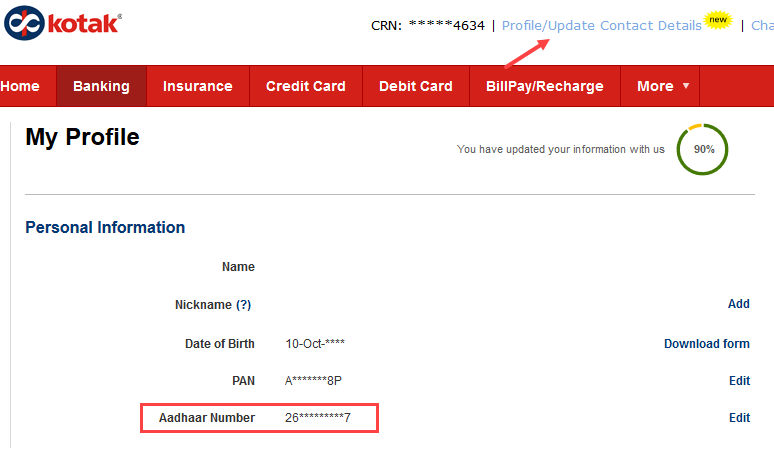 Now you can see the option of Aadhaar Number, you just have to click on Add / Edit. Now type your 12-digit number and submit it. If you do not have the facility of Net Banking then you can simply send an SMS and link the Aadhar card with your Kotak account. Message You have to type something like this and send it to 9971056767 or 676788. If you want to do this work by visiting branch, first you have to download the Aadhar Updation Form and fill it and submit it to the bank with Aadhaar Copy. 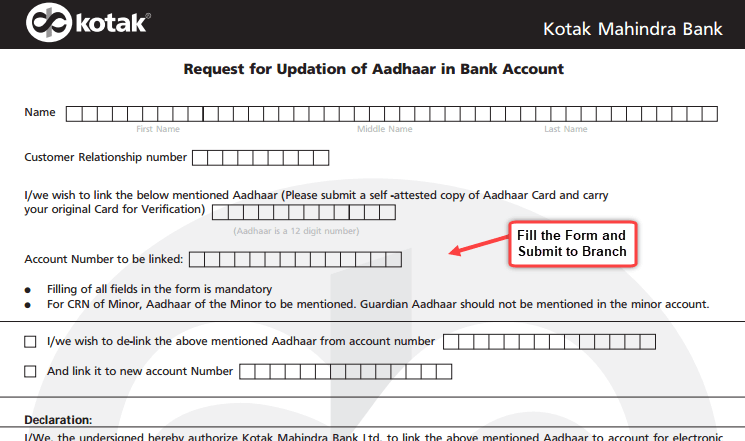 So these are 3 methods to link aadhaar card with your Kotak mahindra bank account.